I love when teachers share ideas! 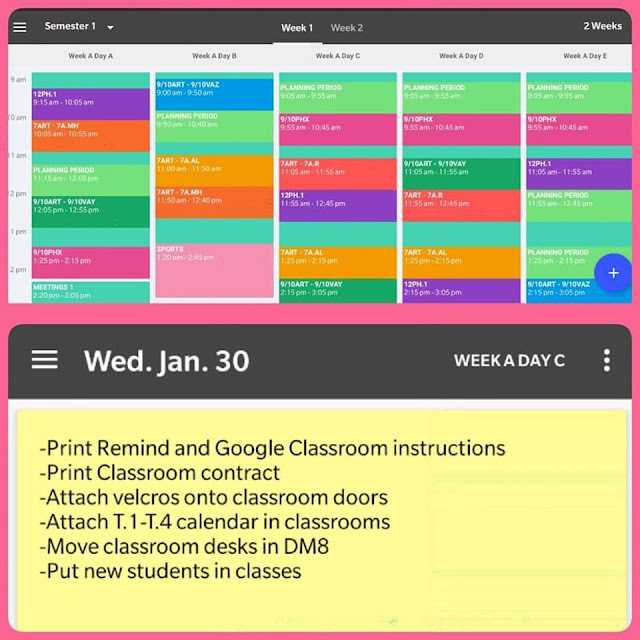 A teacher friend commented on one of my Instagram posts (missartofteaching) about a cool online planner that she uses daily. 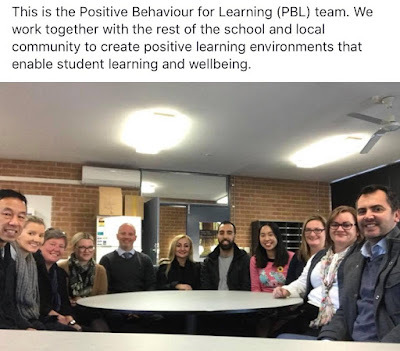 She introduced me to 'Planboard' (free teacher online planner) where you can set up your timetable and then attach lesson plans, worksheets, and outcomes to each lesson. It also syncs to Google Drive making it convenient. You can work on it from the computer or download an app for Iphones and Andriods. It took a while to set up, but I can see the benefits of using this online planner. I can edit my notes, select my standards and view my lesson attachments all under my fingertips. You can literally plan lessons anywhere and everything is in one place! I'll be using it to record class discussions and attach photos. Back to school... the three words that you probably love and hate at the same time. I will miss the holiday sleep in, naps, dog cuddles and taking my time for my morning run. But I am ready for another year of learning and nurturing my students with love and care. Recently I stocked up at The Reject Shop and purchased half price pens from Woolworths. I am looking at implementing a system in my classroom where students are held accountable for borrowed resources: pencils and pens. I will be in two classrooms this year and have decided that I will need two caddies filled with supplies. 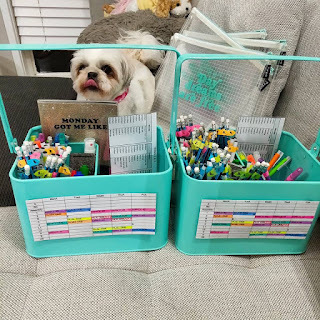 One caddy will have pencils and pens based on the table number/colour and the other caddy will be based on numbers from 1-20 (since it is a flexible classroom). To be dismissed from class, I will need the pen/pencil to be returned. No more walkabouts. Today a Year 7 student purchaesd the right to teach my lesson using 100 virtual rewards points. 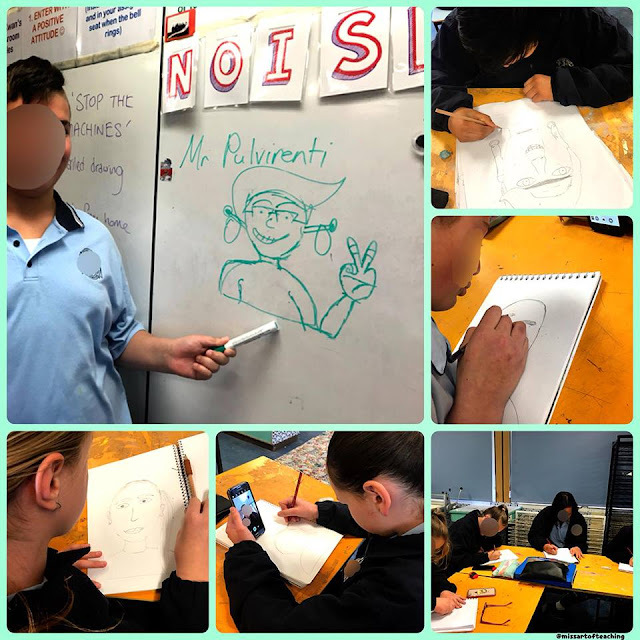 Mr Pulvirenti saved up his virtual rewards points to teach the class how to create a cartoon self portrait. The class worked beautifully. Students were on their best behaviour and some wanted to continue the activity at home. I will be saying goodbye to my first Senior Year 12 class in a few months timeframe. I am now on a count down with my Year 12 students. They have 4 days until their 30% Body of Work and Visual Arts Process Diary is due for marking. This is an in school progress mark which is combined with their earlier 20% practical progress mark. The final 50% of their mark will come NESA (NSW Education Standards). It has definitely been a journey of mixed feeling. We are all exhausted both emotionally and physically. It has been difficult to get them to stay motivated. I will need to work on developing a stricter timeframe, provide more examples of Band 6 artworks and learn how to provide criticisim that does not deflate their self-esteem. Spot me... the lady in pink! Miss Kwan Develop agenda with input from team; send to team members. Facilitate meeting. Follow up on assigned tasks; seek input from team members/staff. Before the meeting, I was a bit nervous but as the meeting progressed this feeling disappeared. I used to have stage fright but as a teacher/presenter, it requires me to conquer this fear. 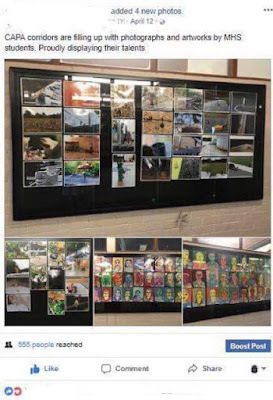 -Working with students, staff and the local community to create artworks that represent the school. -Create artworks that promote the CAPA faculty, -Display artworks to celebrate student's achievements. -Share Facebook posts and newsletter articles to acknowledge the efforts made by students. So you think you are done?